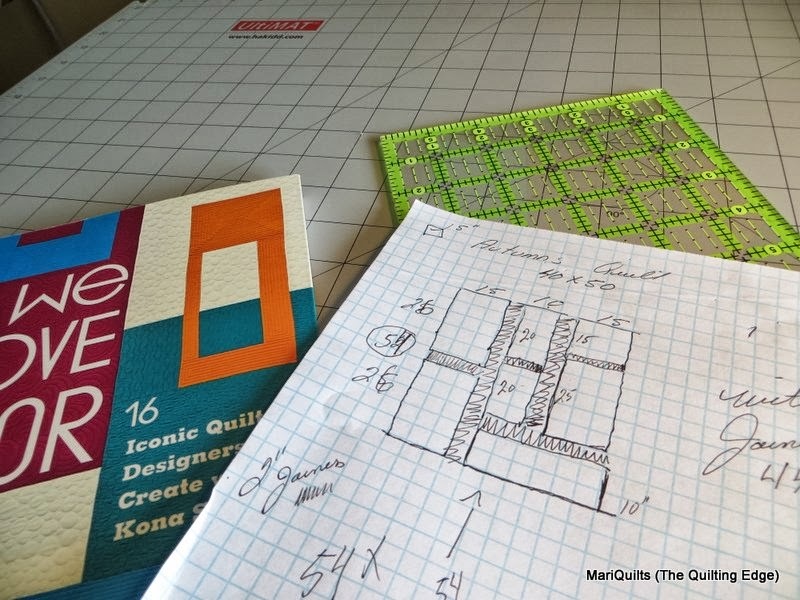 The Quilting Edge: Follow Directions....Moi???? I THINK NOT....no surprise there, right? I'm finally getting around to making a quilt for my little Autumn Claire, who by the way will be one in September. Hmm...me thinks this Grandma is slowing down. In all fairness it did take my daughter a little while to decide what she wanted me to make, but seriously this is the third time I've brought the fabric with me, to the coast, to work on while I'm out here, I kid you not. This time, I plan to go back home with a quilt for our darling baby. She's a little doll...brown eyes and dimples, sigh, I miss her already, but I digress. 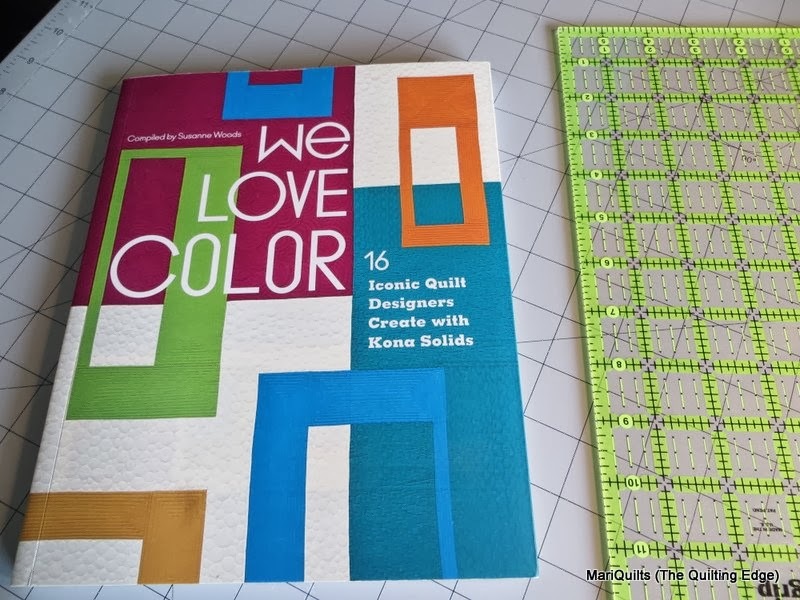 My daughter fell in love with Jacquie's Quilt Think Big on the cover of We Love Color, as did I. So what's stopping me?? Well....I sort of loose interest if I have to follow a pattern and know exactly what the finished quilt will look like, again, no surprise there. So...I decided to adapt Jacquie's wonderful pattern to a Quilt As You Go project. Since the long arm is back in Alberta and I want to quilt fairly heavily, QAYG fits the bill. 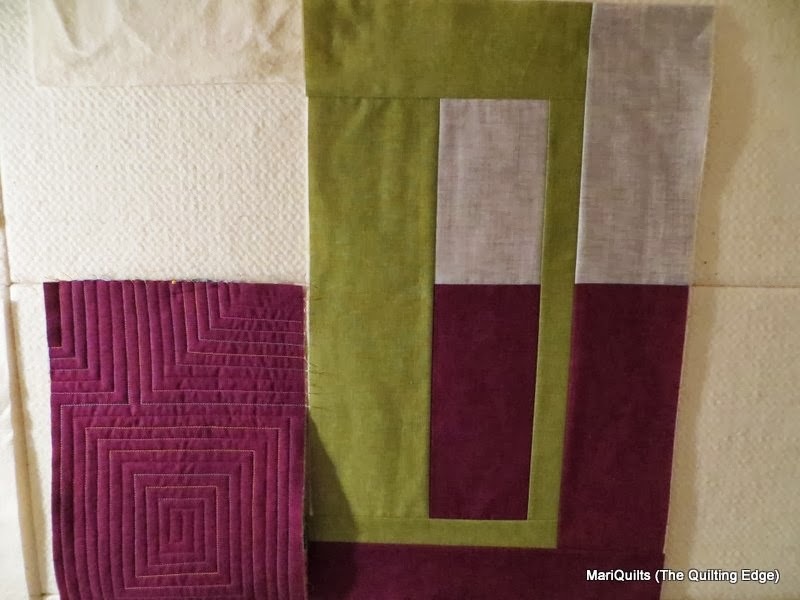 I'm also making the quilt a little smaller than Jacquie's. A few minor calculations and I was on my way. What is it about having a bit of a challenge that gets me going? 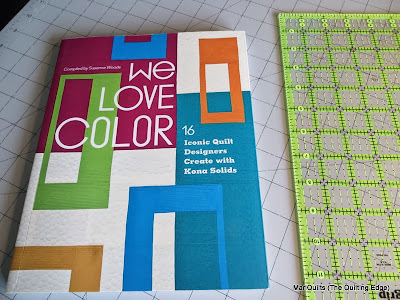 At the last minute, I decided to use gray instead of the white because my daughter and her husband just finished putting in some lovely gray toned floors and did some painting....they even have a feature wall, in the kitchen the same green as the green fabric. I love when everything works together. Sorry, the lighting in the photo is rather poor....it's starting to get dark so much earlier again. 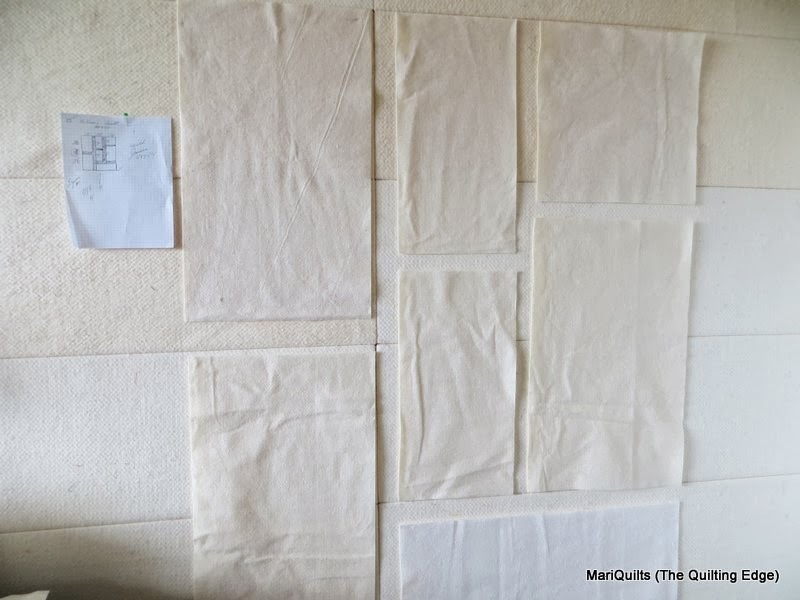 I think the QAYG thing might just work and my little Autumn Claire will have her quilt just before her first birthday...As long as I don't get distracted, which is a highly likely occurrence. I have the same difficulty as you- I cannot follow a pattern and get easily distacted! I'm the same way, it's no fun unless it's challenging in some way. Easy is boring, but the process of something new and different - so fun! Enjoy making your little dolly a quilt! Oh I agree, I don't like knowing exactly what the quilt will look like! I could never use a quilt kit. 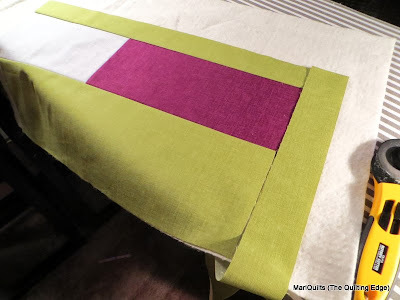 I, too, am one that gets easily bored and patterns are like recipes....just loose guidelines to get me started but rarely to get me to the finished line. i can't follow a pattern either. rather be original. I am interested to see how you turn this into a QAYG project! Thanks as always for sharing- it is just so enjoyable to watch your process. Thanks....I'm so glad it's enjoyable. Ooh, now that is impressive, adapting that for QYAG! A bit of a mix....I'll put the info up with the finished quilt.